So you’re a lifelong football fan, you know your Premier League from your Ligue 1, and you can reel off a string of facts about your favourite team. Does that mean you’re ready to make money from football betting? Unfortunately not! 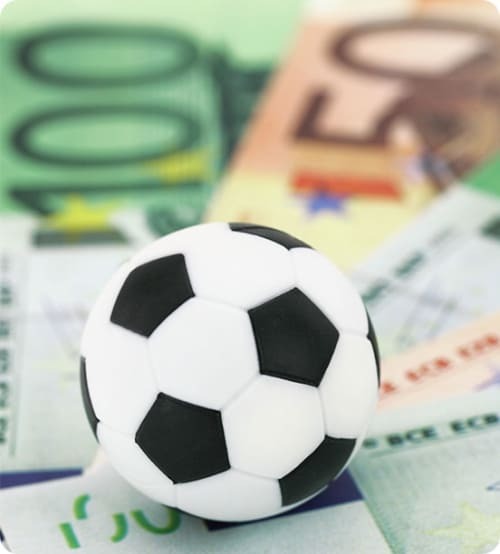 Football betting is popular all over the world, but it’s also highly competitive. To make real money betting in the fast-moving football markets offered by bookmakers like Mr Green, you need a strategy. Before you bet in any football market, you have to bear in mind the basics. These are that things that every serious football bettor considers as a matter of course, the most obvious of which is form. Ask yourself how well each team is playing and be prepared to dig a little deeper than merely considering their results. Read the relevant match reports and get a more in-depth view. Has one team been unlucky recently? Are they improving or declining? Next, you have to consider the team’s home and away records. In general, home teams enjoy an advantage that is worth something in the region of 0.4 to 0.6 goals per game, but it can vary. Some teams have a style of play that is better suited to away games where they can sit deep and play on the break. Others thrive in home games when a large passionate crowd intimidates their opponents. These clues can be valuable. Head-to-head records can also be revealing. What happened last time these two teams met? Has one team dominated their recent encounters? When considering head-to-head statistics, it’s important not to go too far back. The fact that one team dominated the fixture between the wars isn’t likely to be too relevant today! But researching recent meetings can give you a great insight into how the teams match up tactically and in terms of ability. Finally, try to gather as much information on the dressing room as you can. If a key player is carrying an injury, if team-mates have had a falling out on the training pitch or if the squad is showing signs of coming down with a virus, you need to know. Get the most accurate team news you can find, and don’t forget that footballers are human beings. They can be affected by fatigue, loss of confidence or lack of motivation, which can in turn affect their team. Having sorted out the basics, it’s important to remember a fundamental of all betting. That can be summed up in one word: value. In practical terms, looking for value is about finding a bet where the available odds are bigger than they should be. All odds are expressions of probability, so finding value is all about assessing probability. To turn fractional odds into percentage probability, simply divide the second number by the total of both numbers and then multiply the answer by 100. For instance, if Chelsea are 3/1 to beat Barcelona, that equates to a 25 per cent chance. If you think they are actually a 33 per cent chance and should, therefore, be priced at 2/1, then you have found a value bet, assuming, of course, that your analysis is correct. How you go about finding value is up to you. The more research you do, the more likely you are to find value, but thinking about value, rather than about finding winners is the key to success. 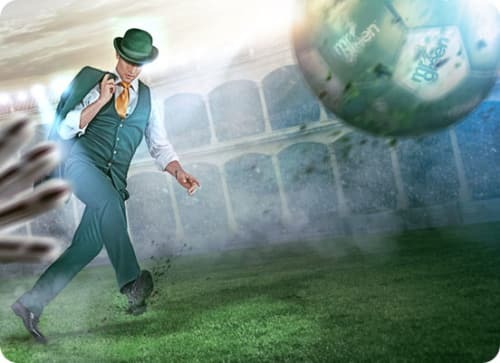 The Over/Under 2.5 goals market is one of the most popular soccer betting markets at Mr Green. In this market you have to weigh up whether the total number of goals in the game will be under or over 25. 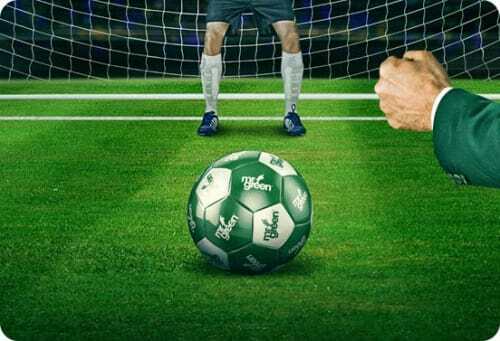 There are a number of different strategies to consider to make this kind of betting pay, but the most logical is to use the goal scoring and conceding records of the two teams to come up with an estimate of how many goals will be scored in a game. Take a sample of previous games for each team. The precise number you use for each team depends on your preference. A bigger sample of games will give you a more in-depth picture but may not capture recent changes in form or tactics, while a smaller sample may be skewed by one or two extreme results. Count up the number of times that games featuring each team has produced more or less than 2.5 goals, then find the relative percentages. For example, if Arsenal are playing Chelsea, you may find that half of Arsenal’s previous twenty games have featured more than 2.5 goals while only a quarter of Chelsea’s have seen more than 2.5 goals. Add fifty percent to twenty-five percent and then divide by two, to find the combined percentage, which in this case is 37.5 percent. This equates to fractional odds of around 13/8 so if the odds of Over 2.5 goals are higher than that, you have found a bet.